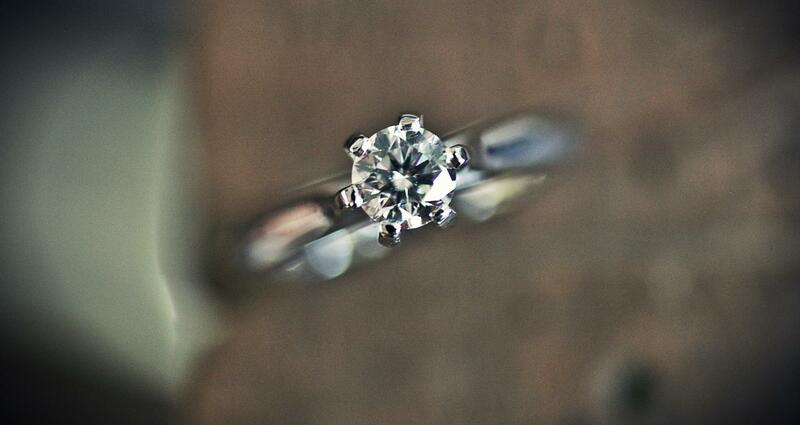 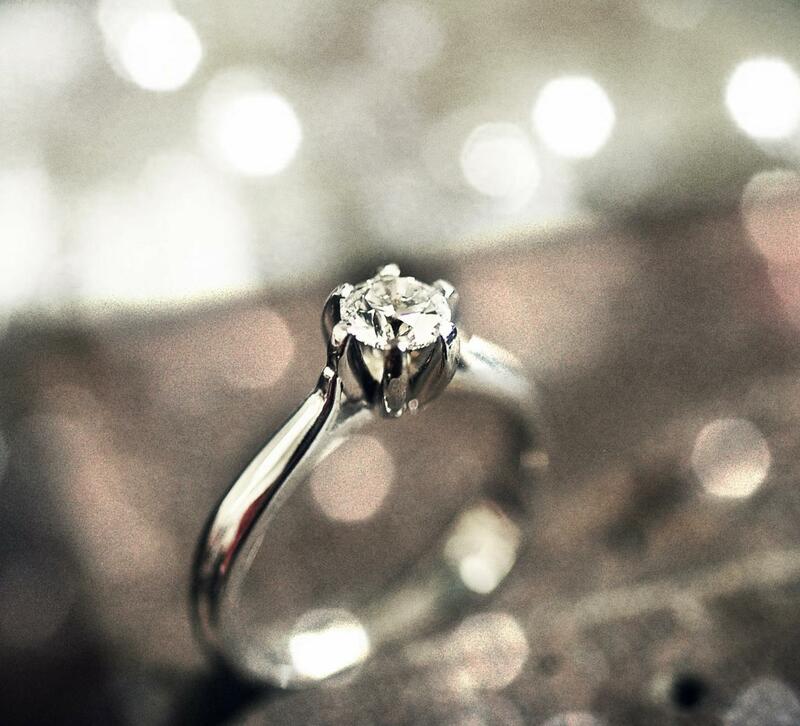 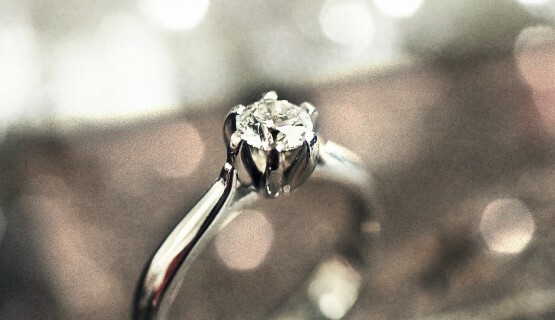 A classic look for a diamond solitaire with the added protection of six strong claws. 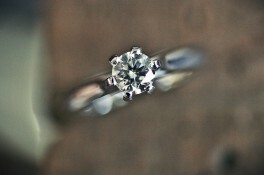 The setting protrudes either side slightly of the ring; a wedding ring to fit can be created as pictured. 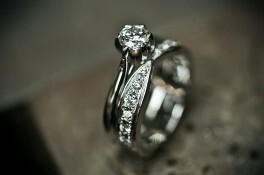 The metal used is 18ct white gold with approximately a 0.40ct diamond.